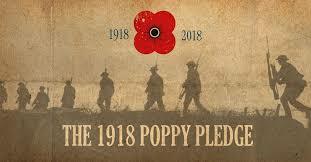 To commemorate 100 years since the end of World War One our school has signed up for the 1918 Poppy Pledge, where we aim to raise £1918 by November. Throughout the year we will hold a variety of activities to remember the service and sacrifice of previous generations. Please follow our progress through our school Twitter and online book.